Macmillan, 2017, 423 p. Reviewed for Interzone 273, Nov-Dec 2017. 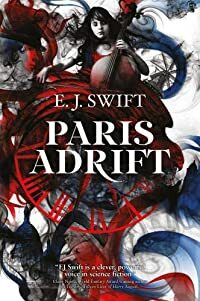 A YA novel with the usual quota of incident this is also a book written with a pleasing clarity and focus. Makepeace Lightfoot is brought up as a Puritan in her aunt’s house in Poplar, sleeping on a straw mattress shared with her mother. More unusually her mother frequently forces her to spend nights in a church so that she might learn to ward off ghosts. Her lack of knowledge of her origins and the conflict this produces induces Makepeace to run off after a man her mother lets slip came from Grizehayes, her father’s home. This leads Makepeace into a mob heading for Lambeth Palace, protesting against the influence Archbishop Laud has over the King. In the confusion her chasing mother loses touch with her. Makepeace encounters wisps emanating from the body of a mistreated dancing bear, whose presence, as Bear, will be with her for ever. When Makepeace’s mother dies in the disturbances the classic ingredient for a children’s story, no parents, is in place but there is a moment of horror as Makepeace battles off her mother’s ghost. Quickly packed off to Grizehayes, the ancestral seat of the powerful Felmotte family where the patriarch Lord Felmotte is a malevolent presence, calling her ‘the by-blow’, Makepeace is despatched to work in the kitchen where she befriends the domestic animals, despite Bear’s reluctance, and in turn is taken up by her half-brother James, another Felmotte by-blow who tells her a Felmotte’s character changes for the worse when he comes into his inheritance. While the reader has already divined the phenomenon it is only slowly that the extent of Makepeace’s genetic disposition – beyond the Felmotte cleft chin – becomes fully apparent to her. Up to this point that background conflict seems only colouring but Hardinge integrates it into her plot with the revelation of the existence of a charter bearing the King’s seal acknowledging the Felmottes’ unique strangeness in return for their financial support. The relatively kindly Sir Thomas Felmotte, who has not yet inherited, reveals to Makepeace, “‘There is a …space inside us. We can host more than ourselves.’” Makepeace realises, “‘We’re hollow. And dead things can get in.’” On death, the Elder Felmottes pass on their personalities to their chosen heir’s body, which acquires exceptional skills as a result. As Sir Thomas rationalises, “‘Imagine how great a family would be, if no experience, no skills, no memories were ever lost.’” The downside? Only the strongest personalities survive among the mix. The dispute between King and Parliament has by now erupted into full blown war, “The world was turning cartwheels … and nobody was sure which way was up any more,” providing Makepeace with the opportunity to flee when that emergency does arise. But James has meanwhile succumbed to Felmotte infiltration. The author’s touch is assured and her execution admirable. Apart from some dialogue which (arguably necessarily) doesn’t quite have a 17th century feel there is little to find fault with here. The latest copy of Interzone has arrived. Issue number 278, Nov-Dec 2018. This one does contain my review of Cixin Liu’s Death’s End the last in his Remembrance of Earth’s Past trilogy. Despite my doubts about managing to meet the time scale (the book was over 700 pages long) the review obviously did arrive on time to be included. The latest book for me to review for Interzone arrived this morning. Well actually it was three books as Head of Zeus has recently published Cixin Liu’s Remembrance of Earth’s Past trilogy in paperback and they sent me all three. 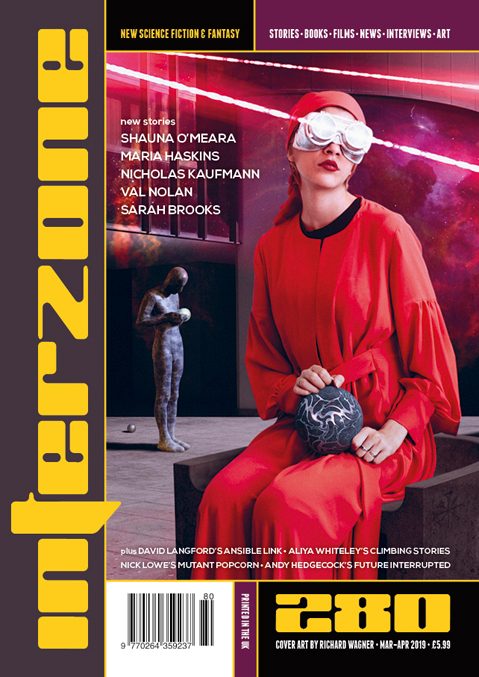 I reviewed the first two books, The Three-Body Problem and The Dark Forest, in Interzone 261 (Nov-Dec 2015) and posted that review on the blog about a year later. 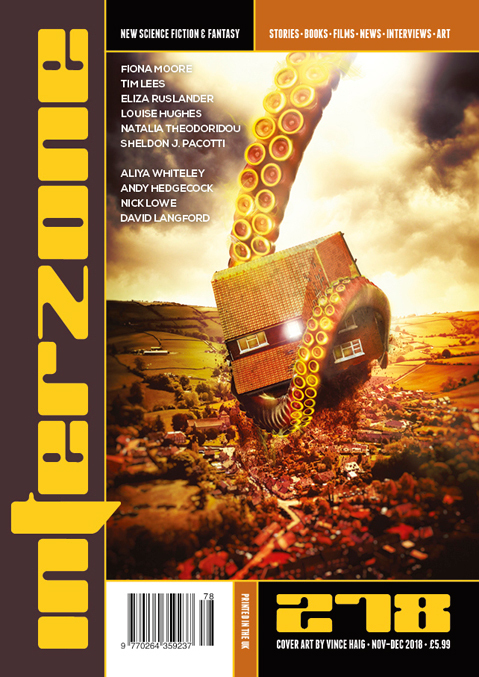 The latest issue of Interzone, 277, arrived last week. As well as the usual fictional goodies and commentary on SF this one contains two of my reviews. The Book of Hidden Things by Francesco Dimitri and Supercute Futures by Martin Millar.